This statistic shows the number of international students in Canada from 2000 to 2016 at year's end. In 2016, there were 412,101 international students in Canada at year's end. 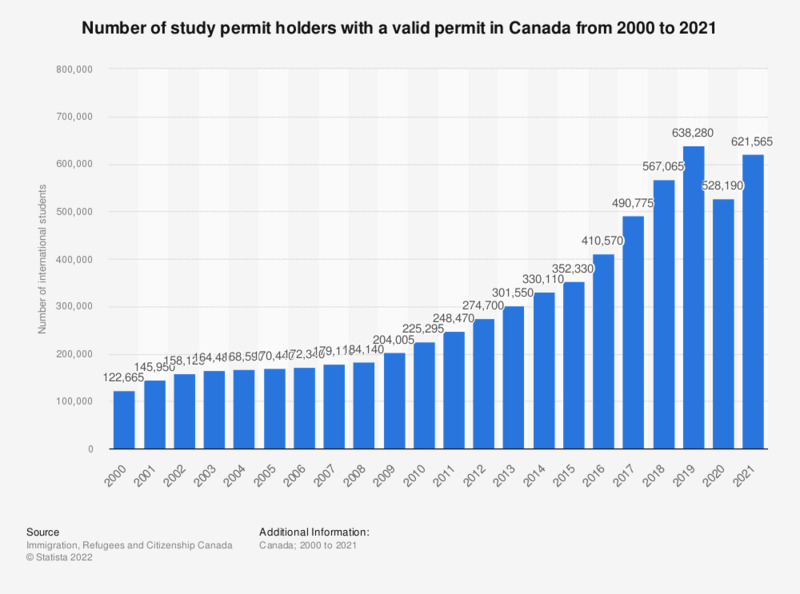 This statistic shows only those international students with an valid permit at December 31. Are you going to have a summer job this summer? Do you think too much is being done, not enough is being done or the right amount is being done to achieve equal rights between men and women regarding science and technology in the Netherlands?